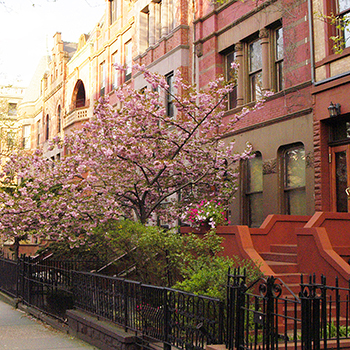 NEW YORK, NY – March 9, 2016 – Calling all New York City house hunters! On Sunday, April 10 and 17, the Real Estate Board of New York (REBNY) and its Upper Manhattan Committee will host its 2016 Uptown Open House Expo – an all-access, free and public event where potential home buyers can conveniently view dozens of the hottest uptown Manhattan residential listings during this two-day event. The Harlem Meet & Greet on April 10, sponsored by Citibank, will be held at Row House Restaurant (2128 Frederick Douglass Boulevard, at the corner of West 115th Street). After the Meet & Greet, attendees will explore open houses spanning: East Harlem, from East 96th to 138th Streets and 5th Avenue to FDR Drive; Central Harlem, from West 110th to 155th Streets and 5th Avenue to Amsterdam Avenue; and West Harlem, from West 120th to 155th Streets and 5th Avenue to Riverside Drive. The Washington Heights & Inwood Meet & Greet on April 17, sponsored by First Republic Bank, will be held at the Malcolm X & Dr. Betty Shabazz Memorial & Education Center (3940 Broadway, at West 165th Street). Following this Meet & Greet, attendees will tour open houses in Washington Heights and Inwood between West 155th to 218th Streets and running from the Hudson River to the Harlem River. Exclusive listings featured in the Uptown Open House Expo are held by expert brokers representing firms including: Douglas Elliman Real Estate, Halstead Property, The Corcoran Group, and Warburg Realty Partnership.